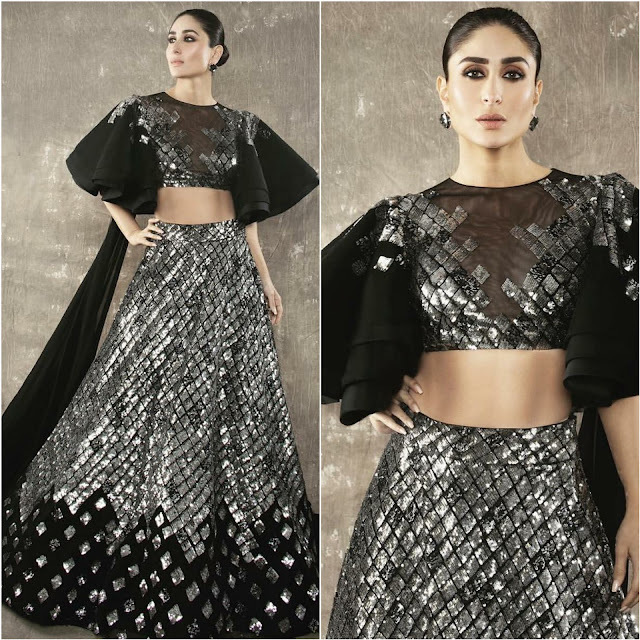 Kareena was photographed in a diamond patterned Manish Malhotra lehenga for attending the recently held HT Most Stylish 2019. Wearing her hair in a sleek bun, the actor completed her look with a pair of matching black earrings. Ms. Kapoor looked great! Alia Bhatt In Ralph & Russo Couture: Yay Or Nay? Alia Bhatt In An Anita Dongre Black Suit: Yay Or Nay? Janhvi Kapoor In An Anamika Khanna Outfit: Yay Or Nay? Priyanka Chopra In Ralph & Russo Separates: Yay Or Nay?